Have you ever sat in front of your computer that just failed wondering if you’ll ever see your work again? Maybe it was a day before a deadline? I have, it’s one of the worst feeling ever. You have to start from scratch, and rewrite everything. The only worse feeling is when you’ve lose precious family photos and videos. This is why backups are so important. 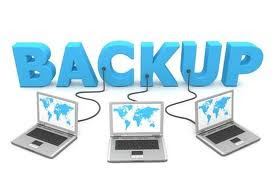 A while back backing up meant saving everything to an external hard drive, but these days there’s a new industry emerging called online backups. These companies automatically sync your files to their servers, making sure you have them if anything happens to your physical machine. There have been over 50 of these companies launching recently, so I’ve decided to list the top 3 companies here. The services vary in the features that they have, the price, and of course how many GB you can back up. Zipcloud is a company in the UK who are built primarily for macs, but their software works on all platforms. They are built with the motto of simplicity, so they are extremely easy to use. This does mean that power user features will be missing, but for any home user it is great. You can get unlimited space if you need it, but their basic package is 75GB of space. You might have seen some carbonite adverts around the internet, they’ve spent a lot of money on marketing to get the brand out there. They offer packages that you have to pay for per year, and they offer unlimited space, but do limit how many machines you can back up. So for example, for just 1 device is cost $59 per year for unlimited space. Sugarsync do not offer unlimited space, but they have a maximum package of 250GB which is plenty for most people.